The Weaver 1-2-3 Read! Program prepares children for reading God's Word. The student workbook comes complete with puppets, flashcards, color pictures, fill-in-the-blank activities, and Bible stories. This workbook is part of the Weaver 1-2-3 Read! Program that includes a teacher's handbook, a flip chart with reading activities and song lyrics, and music recordings that will help your child love learning to read! The stories within the student workbook are simplified accounts of biblical happenings. Noah, David, Peter, and Moses are just a few people your child will read about. A few Psalms are also included. As your child learns new phonics rules, the phonics rules are incorporated into the stories, each one building upon the last. Order Weaver 1-2-3 Read! 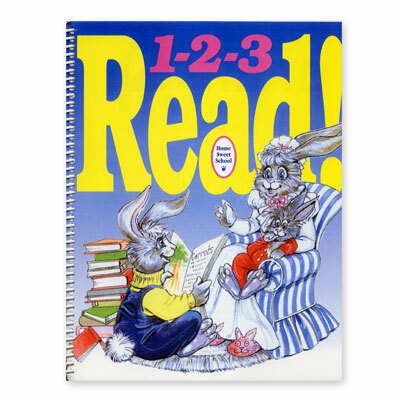 from Alpha Omega Publications and take the stress out of teaching reading.